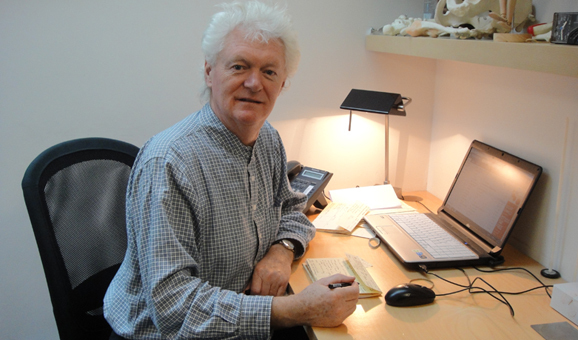 Peter graduated from the European School of Osteopathy in 1980, and he has been involved in undergraduate and post graduate osteopathic education in the UK, Europe and Australia for many years. He is a past Chairman of the Board of Trustees of the Sutherland Cranial College of Osteopathy, one of the largest post graduate teaching bodies. He is particularly interested in the treatment of children and ten years ago he initiated a pioneering service for new born babies at the Pulteney Street GP Surgery. His long term aim is to provide a free service for all new-born babies to be checked and treated osteopathically. After graduating Peter worked in a busy practice in London’s West End before moving to Bath to set up Stillpoint, one of the first osteopathic practices in the city. It’s always been hard to get large ground floor premises in the centre of Bath, but he managed to find the perfect site by the river off Walcot Street. Here, together with his martial arts friend and colleague, Adrian Baker(see ‘the dojo’), he has built a centre for health that is full of light and calm, where practitioners from different therapies can work together. Peter found his way into osteopathy by needing treatment for a back injury in his early twenties. He found his osteopath extremely helpful and was inspired to take it up as a career. He says: “The beauty of osteopathy is its simple, gentle and powerful way of relieving pain and restoring health.” He uses all osteopathic approaches where appropriate and has been using cranial osteopathy for over 30 years.